Julie Charlton is at the breaking point. 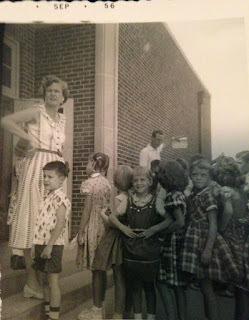 She's overwhelmed and burned out, and in today's unrelenting society, her kids are, too. When her sister-in-law Susan, a Martha Stewart-in-training, lands the chance to participate in a reality TV series promoting simple living, and needs another family to join her, it seems like the perfect opportunity. The location is an idyllic farm outside an Amish community in Tennessee. Julie, with her two children, joins Susan and her teenage daughter for a summer adventure. Susan needs to succeed in order to become self-sufficient after an ugly divorce, Julie needs to slow down long enough to remember what her priorities are and regain a sense of purpose and meaning. It becomes clear from the start that "living simple" is no simple matter. 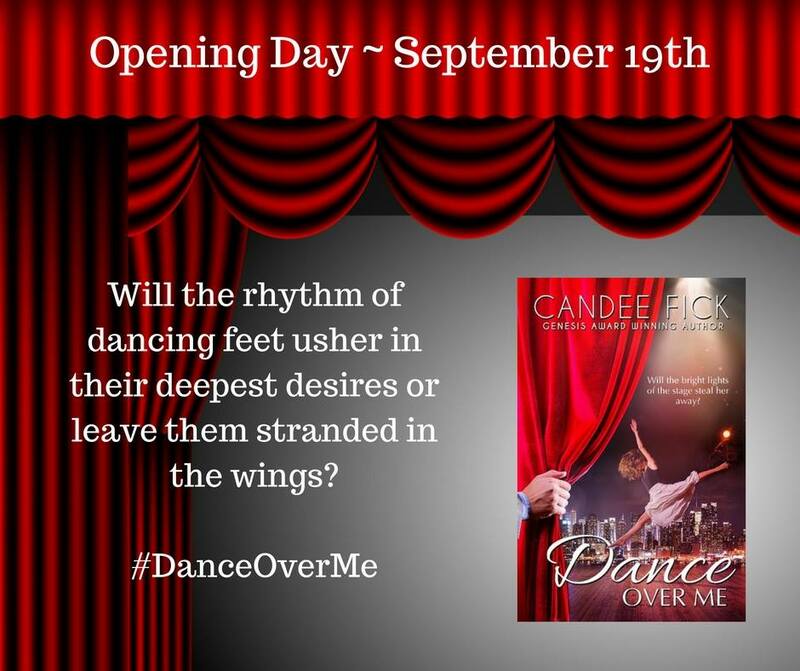 With the camera watching every move, Susan's drive for perfection feels a lot like what they left behind, while Julie suddenly finds herself needing to stand up for slowing down. With each new challenge, their season of "going Amish" gets more and more complicated, as each woman learns unexpected lessons about herself and her family. My thoughts: At first I wasn't sure what I'd think about ALMOST AMISH. Reality TV shows, English living as Amish (dressed in pioneer clothes?) and women's fiction.... Not a genre I'm a huge fan of, though I do read some. But this book - ALMOST AMISH grabbed me from the first page. I totally got Julie. Not perfect. Real. Gifted with organizing, but not cleaning. Gifted with seeing people, but not baking for school functions. And running ragged with all her and her children's and her husband's activities... Crazy. She needed a breather, and when her sister-in-law, Susan accepted a reality TV show position (for a needed boost with her career) she jumped at the chance to get away. But the situation is far from perfect. They take out the propane stove and put in a wood stove -- which neither woman had even seen one before, much less baked/cooked with one. The producers "greeked' labels, meaning they didn't know what ingredients were what in some cases, and well, there were NO privacy. Julie found herself going to bat over and over for her children and Susan because Susan wouldn't stand up for herself (afraid to risk her career plans) and the producers were running alll over them. . .
Add a "handyman", a potential romance and lots of heart and realism and you have ALMOST AMISH. This was a beautifully written story that I totally LOVED. I have made decisions to slow our family life down as I grew older -- getting rid of TV, baking most meals from scratch, not eating out, and spending time together as a family. We have a reputation of being "The Waltons" around here - actually eating at the table as a family. . . etc. I am not good at gardening, (Julie was) and not good at sewing (Julie was) but otherwise I totally related to her. GREAT story. I haven't read much (if anything else) by this author, but I will look up more, based on this book. 5 stars. so be sure to get yours right away! 2016 finalist, The Substitute Bride. no one else will receive. Maggie Award 2016 finalist, The Substitute Bride. or an autographed paperback book. To purchase your box, click here. 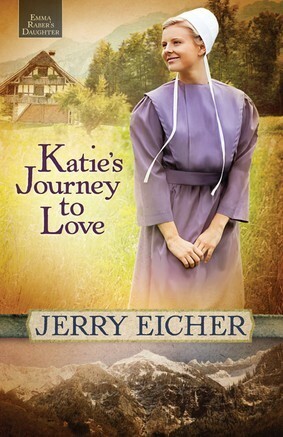 In book two of Amish fiction author Jerry S. Eicher’s new Emma Raber’s Daughter series, Katie Raber’s journey of discovery continues after her mamm’s marriage to Jesse Mast. 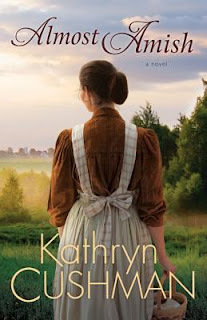 Drawn back from the Mennonite world briefly by the miracle of Mamm’s changed heart, Katie finds she can’t totally abandon her new Mennonite friends. Jesse’s oldest daughter, Mabel, refuses to accept Katie, creating conflict at home. Ben Yoder, the most popular boy in the community, also begins to attend the Mennonite youth gatherings in his attempt to run away from personal problems. Overjoyed at the attention Ben pays her, Katie pursues the relationship willingly. When an opportunity comes to travel with her Mennonite friends to Europe to explore the roots of the faith, Katie can’t believe how much she is being blessed. Especially after a secret donor pays for the trip. While in Europe, Katie learns the truth about Ben when he is arrested. As her world comes crashing down, she finds healing in her visit to the Alps and the land where her forefathers suffered so much. She returns home determined to mend the bad feelings with Jesse’s daughter, Mabel, and to continue on the path to healing without Ben. 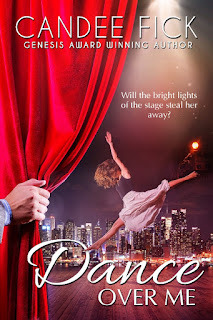 Book two in the Emma Raber’s Daughter series. My thoughts: KATIE'S JOURNEY TO LOVE is the second boook in this series, but it easily stands alone. I did read book one in the series where Katie and her mother are considered weird and were outcasts, but love and a family softened them both up. Katie's Mom is much more likeable in the book and Katie is coming out of her shell beautifully, making friends and overcoming her shyness. I felt bad for her being forced to live with Mabel, when Mabel was so beyond hateful, and even though Ben did some bad things I absolutely loved him. He did a dear, dear thing for Katie. I am anxious to read the third book in this series and need to see if I have it already before I race off to buy a copy. Mr. Eicher has been a hit and miss author for me, but this book KATIE'S JOURNEY TO LOVE was really good and I greatly enjoyed it. If you love Amish fiction and haven't read this book, you'll want to. 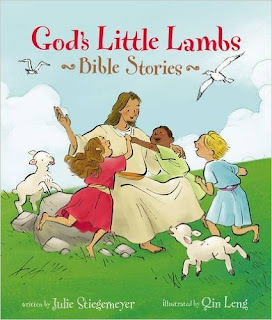 My thoughts: GOD'S LITTLE LAMBS BIBLE STORIES is a sweet collection of illustrated stories popular with Sunday school children everywhere. Some of the stories included are The Boy Jesus in the Temple, John Baptizes Jesus, Adam and Eve in the Garden of Eden, A Flood Comes Upon the Earth and more. It is a walk through the Bible from Creation to Paul. A great collection suitable for Sunday schools, Christian daycare and preschool, Church libraries, families and more. Suitable to a new mom for a baby shower gift or for a gift under the tree or stocking stuffer for your favorite toddler. 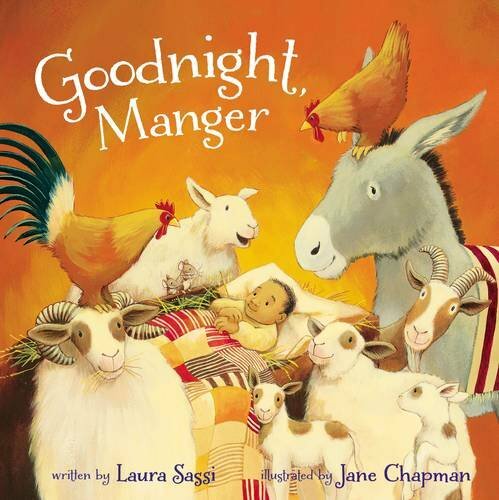 My thoughts; GOODNIGHT, MANGER is a very cute Christmas story about the birth of Christ. With colorful pictures and sturdy pages, it is the best book to read to little babies, making it ideal for church nurseries, day cares, and grandparents. Sturdy, as long as the child doesn't try to eat the book unsupervised for a long period of time, this should survive several years of babies. A great book. I would love this for my grandbabies. Recommended. 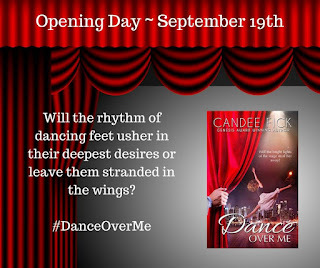 Interview with Candee Fick and giveaway! How did you get started writing? How old were you? What made you want to start? What did you enjoy reading as a child? dissatisfied, I decided to try my hand at writing books instead of short stories. How and when did you and your husband meet? Was it love at first sight? What does he think about your being an author? but I don’t think he *got* it until he read my first published novel. the writing bug, as well? My kids are now 19, 18, and 12 and I don’t think any of them have read my books. most likely to write a book when he grows up. find yourself having to do a lot of research? new piece of information to add a fresh twist to the story. that God is at work behind the scenes in my life even when I can’t see Him. including a daughter with a rare genetic syndrome. basketball, baseball, and Special Olympics games. professional jealousy and insecurity with compassion and restraint. 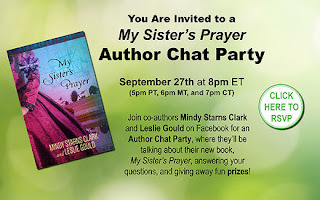 Join Leslie, Mindy, and other readers on Facebook on September 27th for an author chat party at 8:00 PM EDT (that's 7:00 Central, 6:00 Mountain, &; 5:00 Pacific)! Leslie and Mindy will be chatting about My Sister's Prayer, answering your questions about the book, and of course, giving away prizes too! Want to be entered for a chance to win a free trip for four to hear the Newsboys, the award-winning Christian music band, in Dallas? Sign up to be a part of the movement to protect religious freedom for future generations: Bring Your Bible to School Day! Students from kindergarten to college will be bringing their Bibles to school and sharing God with their friends on October 6. By completing the information on this page, you're automatically entered to win the chance to see the Newsboys with Focus on the Family and Adventures in Odyssey. Don't miss out on the chance to see a fantastic band with your family! Amish Wisdom Harvest Bounty Giveaway! Happiness is not perfect until it is shared. 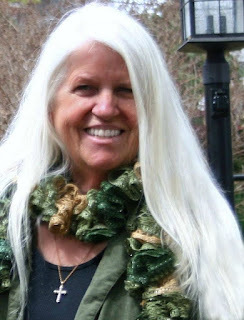 Fall is officially here, and Suzanne Woods Fisher and the Amish Wisdom contributors want to celebrate the changing of seasons with a special Harvest Bounty giveaway! Enter the giveaway widget below for the chance to win to a set of 14 books, plus autumn-inspired goodies handpicked by some of the contributors. See below for a list of participating authors and prizes. One entrant will win, and he or she will be announced next Friday, September 30th, on the Amish Wisdom blog. *Only U.S. addresses are eligible to win. Today I welcome Caryl McAdoo to my blog. 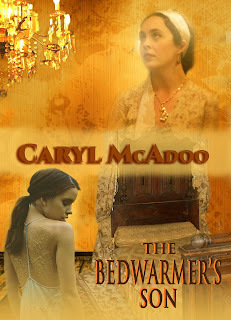 Caryl is graciously offering a winner two books: a VOW UNBROKEN and an ARC of THE BEDWARMER’S SON. Be sure to leave a comment (with contact information) to enter. I grew up on the northwest outskirts of Dallas in a country atmosphere where I had a pony then a horse, rabbits, cats, and dogs. I went to Letot Elementary School from the 1st through the seventh grade A junior high when they first built it, my mother had gone there. It was pretty far from home, maybe 5 or 6 miles. Most the time, I rode a city bus, but sometimes I walked home. My mother wrote a book titled SO YOU WANT TO KNOW GOD AND HEAR HIS VOICE. And my granddaddy, her father, also wrote a fantasy book about a cat who wanted to marry the princess (all of them were cats) and the king sent him off on a dangerous mission. He was the best storyteller at naptime! J And I was his favorite. J He called me Lavonnee (my middle name is Lavonne… pronounced Lavon). He also called me a Prune-picker because I was born in California. My cousins born in Oklahoma and Arkansas were Okies and Arkeys, and I wanted to be a Cally! I think in the fourth grade we wrote and made a book…Mine was titled “The Firstborn”, was about me, and had a blue cover. 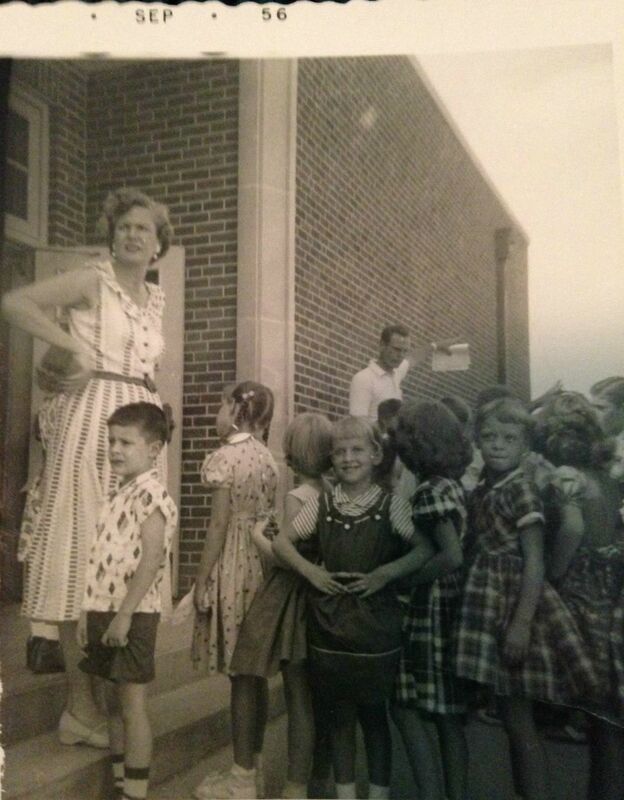 My first thoughts of being a writer came at the age of twelve in the seventh grade when homework was to write an essay “What I’ll be doing in the year 2000”…that was in 1962. I wrote I would be an inter-gallactically famous author jetting to planet to planet autographing books! I loved visiting the school library and read every horse book I could get my hands on. Black Gold was my favorite by Marguerite Henry. I also remember loving to read the Word Book Encyclopedia there. I sort of lost my love of reading during my teen years, met husband at sixteen, married at eighteen, first son at nineteen and a second at twenty! My husband actually got me started writing in the mid ’80s. He wasn’t a reader as a child but became an avid reader and got me started back. One awful book about Noah convinced him if that woman could get published, we could, too! So we wrote a 380 page book by hand titled “In the Beginning”. That book in part is now A LITTLE LOWER THAN THE ANGELS, a Biblical fiction series The Generations. In the summer of 1966, we both worked for the Park & Recreation, I was a rec leader, and he mowed our park! One day he and a friend came in to eat lunch in the AC and then shoot hoops. I checked out a basketball to him. When he brought it back, he asked me out on a date. We both stood each other up that first night. He had an uncle die and his mother took him out of school and drug him to south Texas. Let’s just say I didn’t have as good an excuse. J but Ron didn’t KNOW I went out with the first-- of three I’d made a date with for the same night—who got there, so apologized and asked me out again. I forgave him, and we went out every night after that all the way into November when his mother made him stay home a night. We’ve been together until now, fifty years later. He told me the second night that he loved me, and I found out later that he’d told his mother he was going to marry me. Six weeks into our relationship, we’d decided to have a little boy first and name him Matthew…Matt McAdoo. My husband is a gifted author in his own right. We wrote our first nine books together with both our names on it. He always hated the marketing—except for going to schools with our children’s titles, he loved that—and is thrilled that now only I have to be concerned about selling the books! How old are your children? Do they read your books? Have any of them got the writing bug, as well? My children are forty-seven, forty-six, forty-one, and thirty-four. I had to cry to get my oldest to read my first book on a plane ride. He said he liked it though and was glad he’d read it. I was taking him to the airport…to tell you the truth, I don’t know if the others have read one or not. Isn’t that just sad? My daughter has said she’s going to write a book, but hasn’t ever got around to it. She’d be the only one. 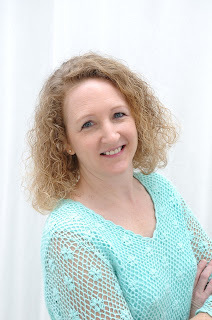 Interview with Lillian Duncan and #giveaway! !